In a State of Amazement is something you should read. How can someone paint a picture that evokes an emotion? How can a sculptor carve from stone a nearly lifelike representation of an idea first imagined in a dream? How can the sun cast a shadow across the landscape in a manner that takes your breathe away, or results in a scramble for that new digital camera that promises to make everyone a professional photographer. Art cannot truly be explained or understood. We do not even agree on what art is. "I know it when I see it" is explanation enough. Crossing the sparsely populated state of South Dakota one can be oblivious to the canvass upon which artist have been creating for decades and longer. Even before the Spanish introduced horses to the area, pots and beads were used to create works of art. Even earlier, forces with origins still evoking debate caused the landscape that is now known as Badlands. The Black Hills, or Paha Sapa in Lakota, creates inspiration for local as well as world renowned artists. In an ongoing effort to we will admire the art and artist of South Dakota. Art that is created in South Dakota and artists that use the state for inspiration. This will be an endeavor that can never truly be completed. We will reference works on this page as well as links in the website menu. 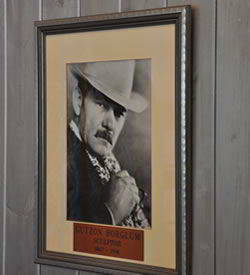 Gutzon Borglum left his mark on South Dakota by creating what has become one of the most recognizable works of art in the world. Mount Rushmore is a true masterpiece. 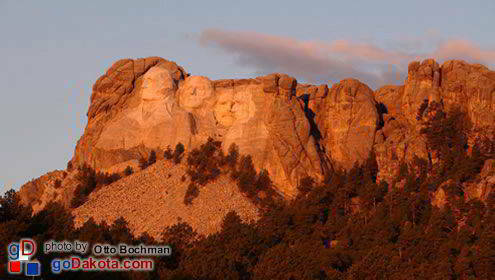 When you are in South Dakota . . . . you are In a State of Amazement.